What are some of the responsibilities players must fulfill? To teammates and coaches, responsibilities include commitment to being on time and prepared for practices and games, giving 100% all the time – from the floor to the bench to the locker-room to the bus ride home – and showing respecting for rules, opponents, officials, spectators and venue hosts. Beyond those immediate basketball surroundings, players are responsible for representing the team well in public, never embarrassing their teammates, using their status as athletes to lead in the broader community and when using social media to do so positively and constructively. Coaches and players alike are responsible for seeing to these facets of proper behavior, preventing lapses and quickly correcting any that may occur. All the players should have a ball and find some space on the court. For the allotted time, the players will work on rhythm dribbling. To work on their rhythm, they can emphasize standing up and relaxing and then dropping down to make a move, Changing speeds, or taking multiple steps in one dribble, or having fun and dancing as they dribble. Rhythm is an important part of an offensive players game and should be worked on. Have the players get a ball and start in a line on the wing. If needed utilize multiple baskets. 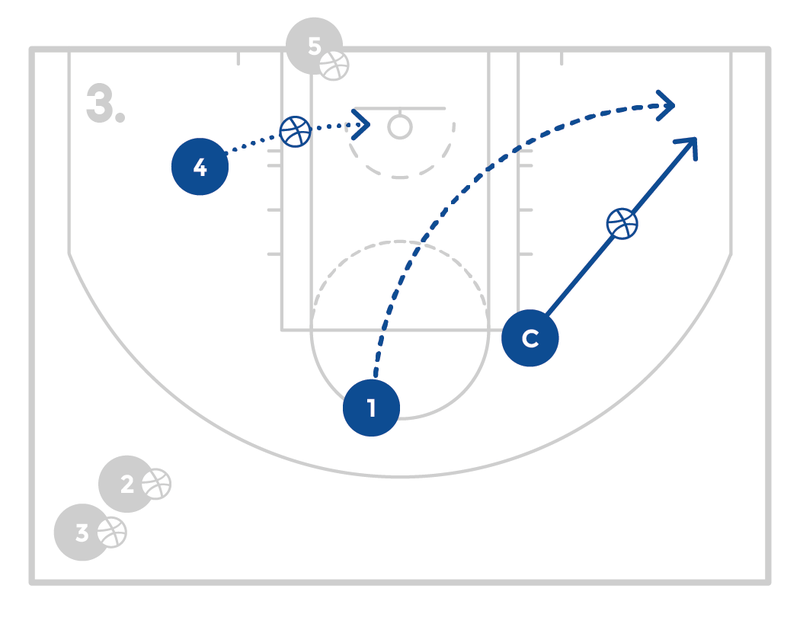 Set up a cone or a chair to act as a ball screen on the wing. The coach will stand on the wing closer to the corner than the screen. 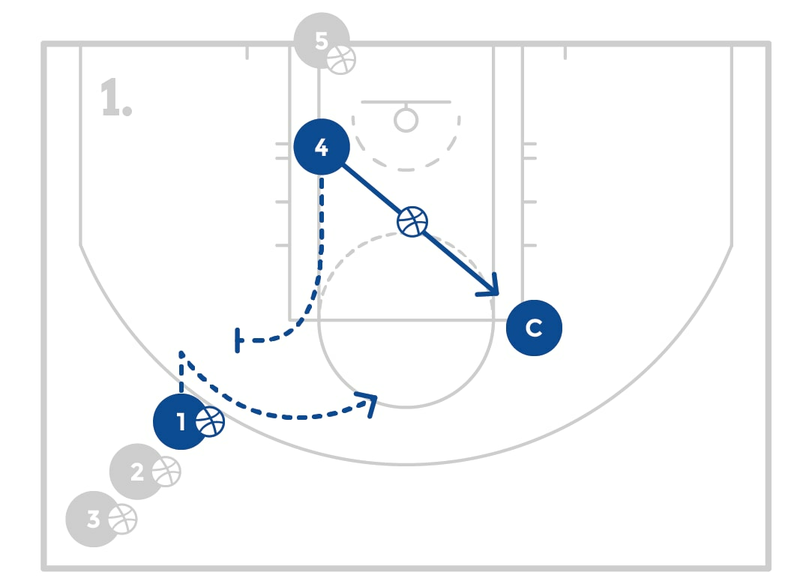 The players will dribble off the ball screen and throw a hook pass to the coach. After the hook pass, the player will flash back towards the ball for a catch and finish. The player will get their own rebound and go to the back of the line. The next player will complete the same process. 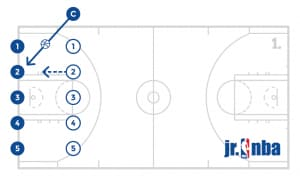 Place a passing line at the top of the key, a screening line on the wing, and a shooting line on the same baseline. The coach will defend the screeners from the screening line. 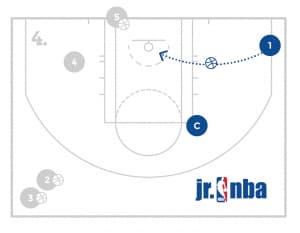 As the screener goes to set the screen, the coach will either drop back and defend the screen below the play, or step up and jump out on the shooter coming off the screen. 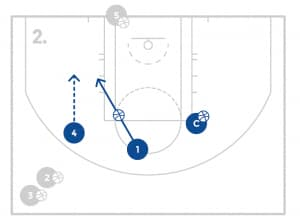 The passer and screener must read how the coach defends the screen; if the coach drops back, the passer will pass to the shooter coming off the screen. 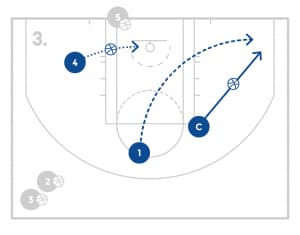 If the coach steps up the screener will slip and the passer will pass the ball to the screener as they slip to the basket. 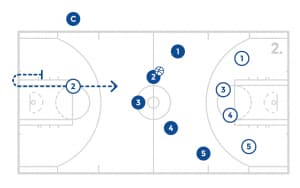 The passing line will rotate to the screening line, the screening line will move to the shooting line, and the shooting line will move to the passing line. Utilize both sides of the court and multiple baskets to maximize reps. If there aren’t enough coaches, have a player execute the coach’s role. 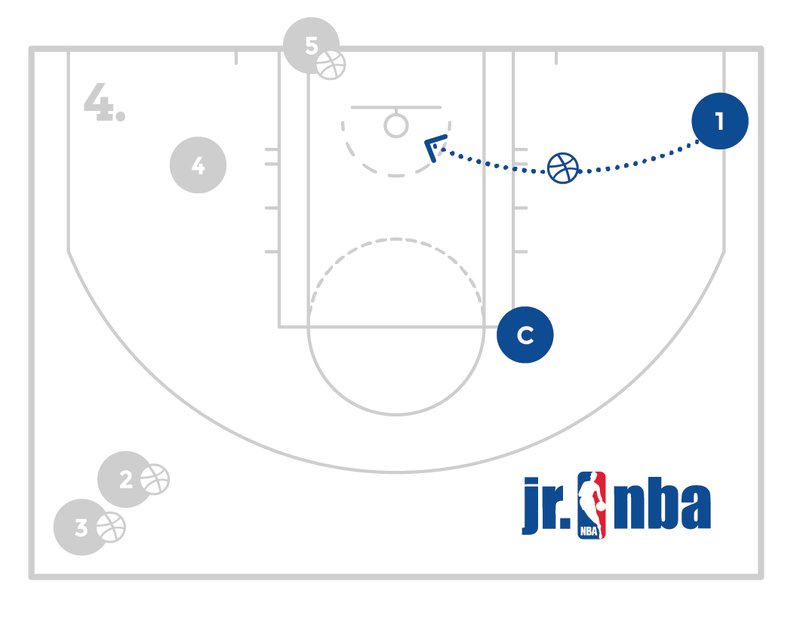 Have all the players get a ball and have the post players start on the block and the guards start above the opposite wing. 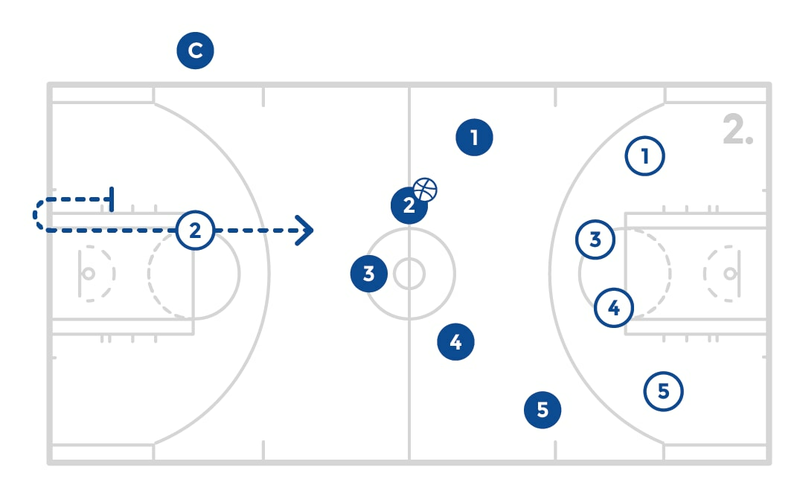 The first post player will pass the coach the ball and then go set a ball screen for the guard. 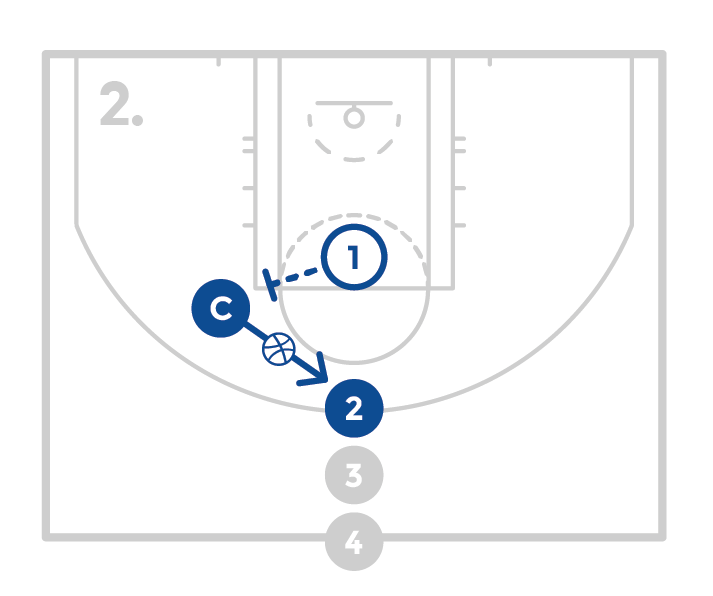 The guard will come off the screen and pass to the pop. 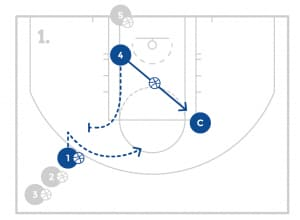 The post player will catch and take the shot designated by coach and get their rebound and go to the back of the post line. 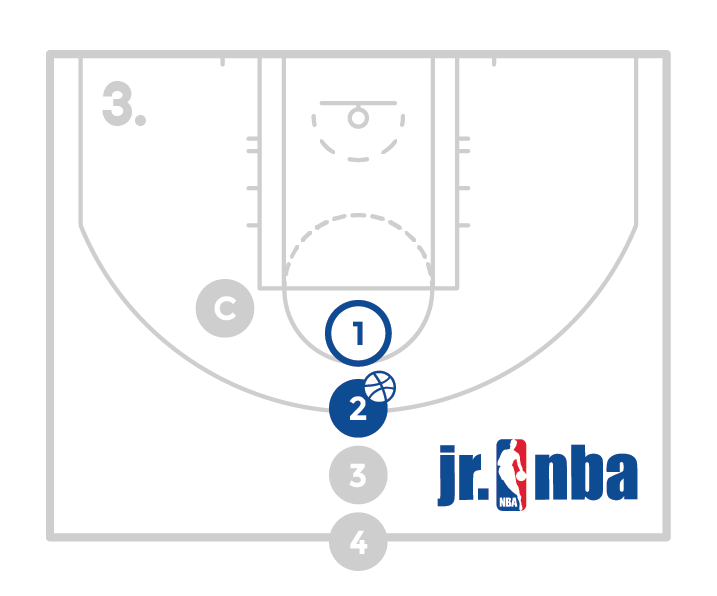 The guard will then relocate to a spot dictated by coach and catch a pass from coach and take a shot dictated by coach. The guard will get their rebound and go to the back of the guard line. Have 3 players start in the paint and a line on the baseline. Coach will shoot the ball and all 3 players will try for the rebound. Once a player has the rebound they have to try to score. All shots have to be in the paint and limited fouls are called. The other 2 players are playing defense and trying to prevent the player with the ball from scoring. A player must score 3 times to come out of the game and the next player in line jumps into the game immediately. There are no pauses and the ball is always live, even as it just passes through the net. This is a tough rebounding and finishing drill that will force the players to battle and work hard to rebound and score in the paint. Stunt and recover is a defensive concept for a player who is not guarding the ball, but is 1 pass away from the ball. The defensive player is in a good stance and can see both the player they’re guarding, and the player with the ball. If the player with the ball begins to drive towards the mentioned defensive player, the defensive player will “stunt and recover.” This means, the player will fake at the offensive player with their hand and foot or “stunt” and then as the offensive player passes the ball out, the defensive player will “recover,” by closing out to the player they were already guarding who now has the ball. The coach will start with the ball on the wing and there will be a line of players at the top of the key. The first player will step on as defense and the next will be offense. As coach drives the ball towards the middle of the floor, the defender will stunt at the drive. The coach will then kick the ball out to the other offensive player and the defender will close out to the player with the ball. 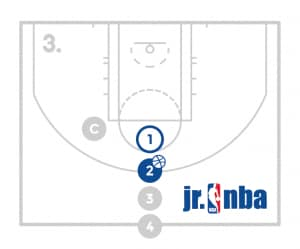 After the close out, the players will play 1 on 1 for one possessions with just 3 dribbles. 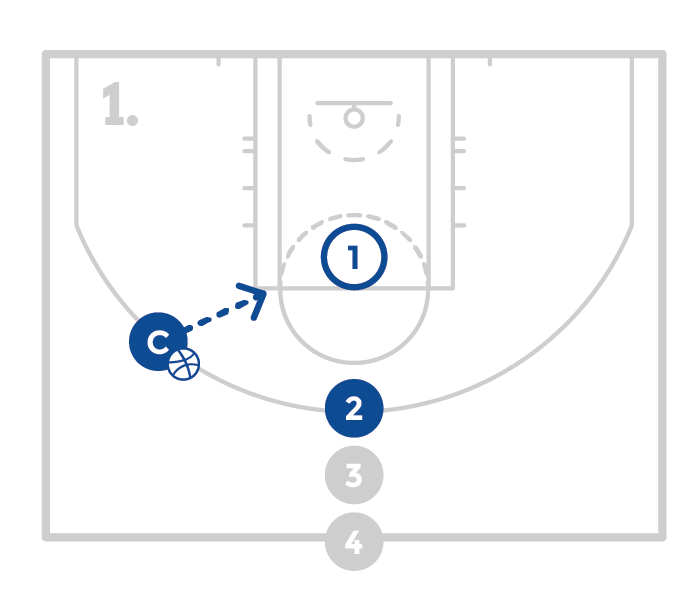 After the possession the offense will rotate to defense and the defense will rotate off. Utilize more lines to get more reps if needed. 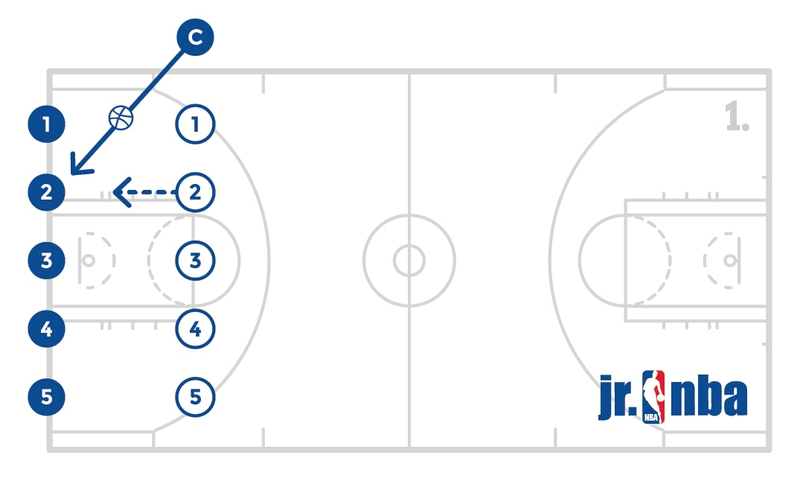 Utilize as many baskets as possible and have 1 player shooting at a time. The player will shoot 2 free throws at a time and rotate until each player has shot 10 total free throws. After every player has taken 10 free throws, the player with the lowest score wins. The scoring is as follows: If a player makes a shot nothing but net, they receive minus 2 points (-2). If a player makes a shot in any way other than nothing but net, they receive minus 1 points (-1). If a player misses a shot, they receive plus 1 point (+1).